I am thrilled to be hosting a mini-challenge for Bloggiesta! Thank you to Natasha at Maw Books for this opportunity! I participated in June and I got so much accomplished so I can't wait to see what I can get done this weekend (sorry in advance to my hubby who'll see me glued to my computer all weekend...). If you have ever wanted to set up your own Mr. Linky so other bloggers can link up to your post then this is the mini-challenge for you! I have to admit that I've never done a Mr. Linky before...but that makes this the perfect mini-challenge for me. 1. Register on the Mr. Linky site: here's the link for the registration page. you use that you will have to enter to confirm you registration. and the type of widget you want to create. After you've made your choices you click "Generate code." Blogger so it explained that I have to copy the code into my HTML after I write my post. You will have to read about what to do based on which server hosts your blog for you. 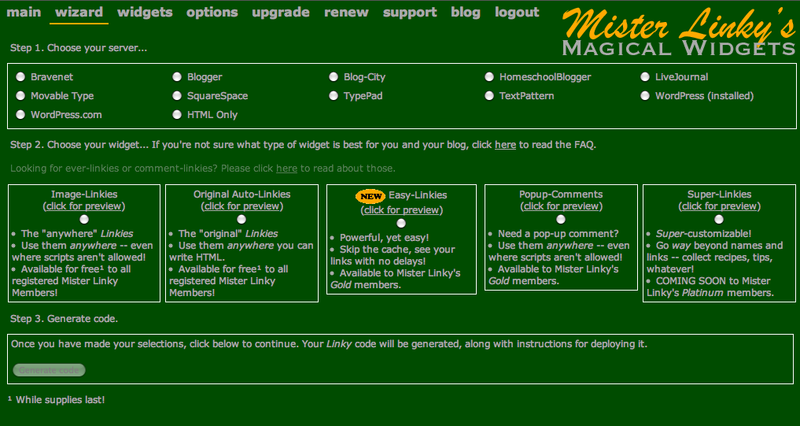 access to different kinds of linkies. 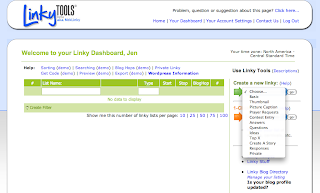 Another option for being able to ask other bloggers to link up to your post is to use Linky Tools. 1. Register for Linky Tools here. you can click where it says "Your Dashboard" from the page choices at the top. 4. After you choose the kind of linky you want, you can enter in all the information you want to include and the dates that it will be available and click "Click here and continue to get your code." 5. 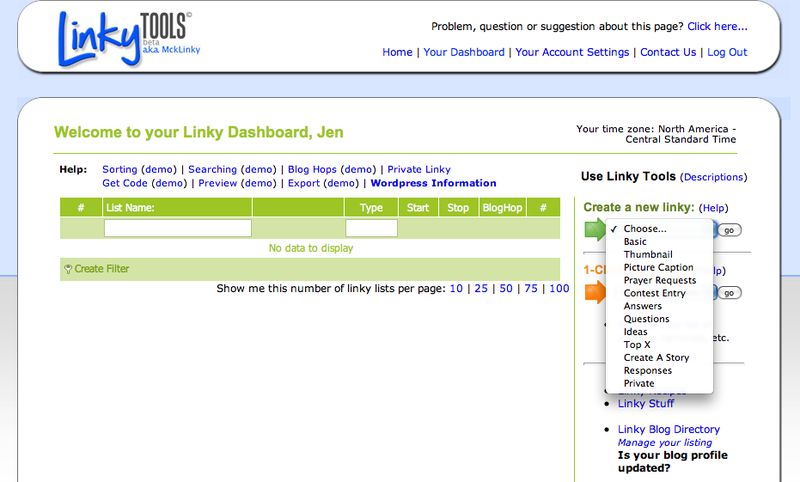 Your new linky will be listed on your linky dashboard now. experience with either of these or another linky site out there. at the end of this glorious Bloggiesta weekend! Also, if you accept the challenge and create your own linky you can link up here!